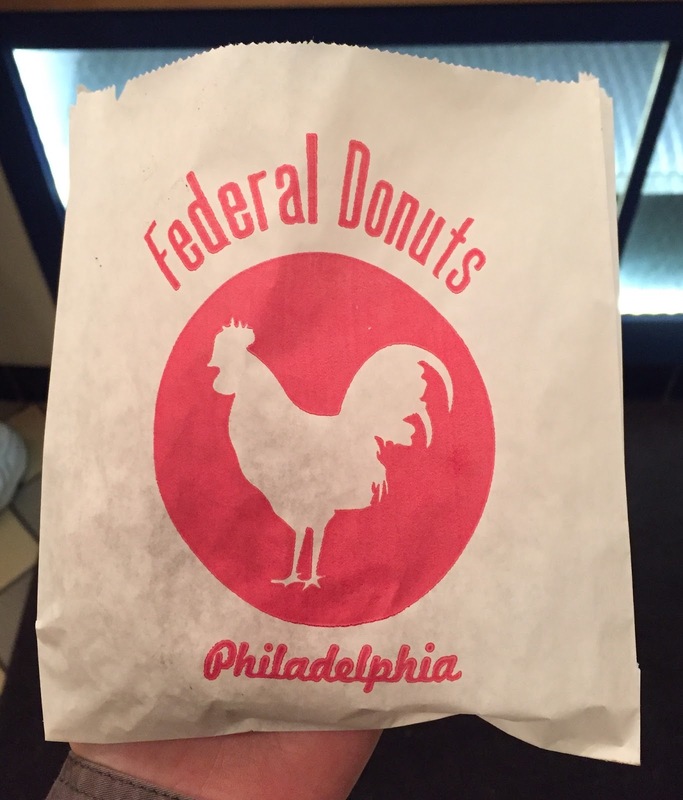 When we went to Philadelphia, my husband's brother and his wife took us to their favorite place called "Federal Donuts." 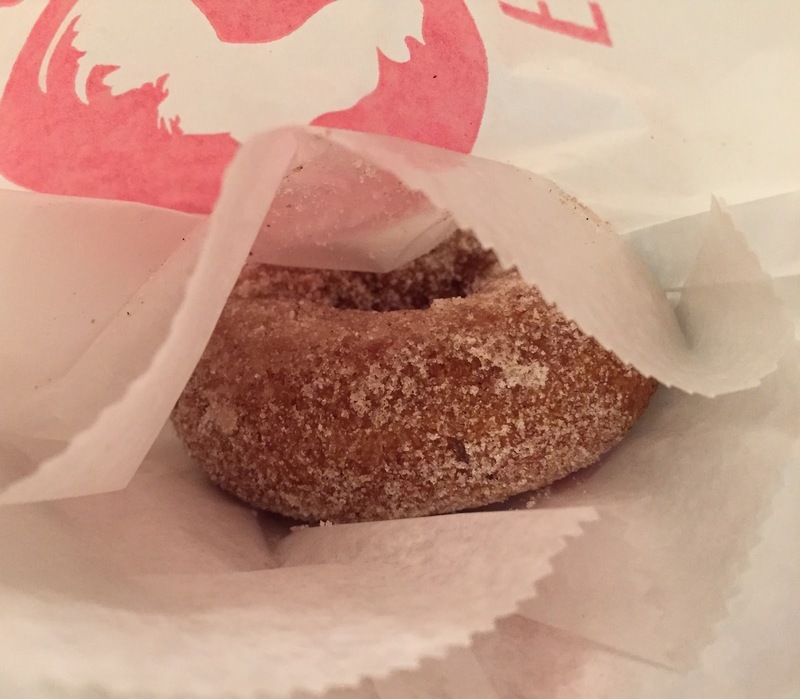 It's a small eat-in and to-go store, and they come here for the fried chickens and donuts. 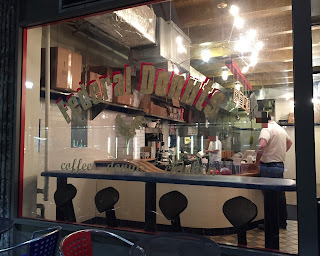 There're 2 kinds of donuts; Fancy Donuts and Hot Fresh Donuts. 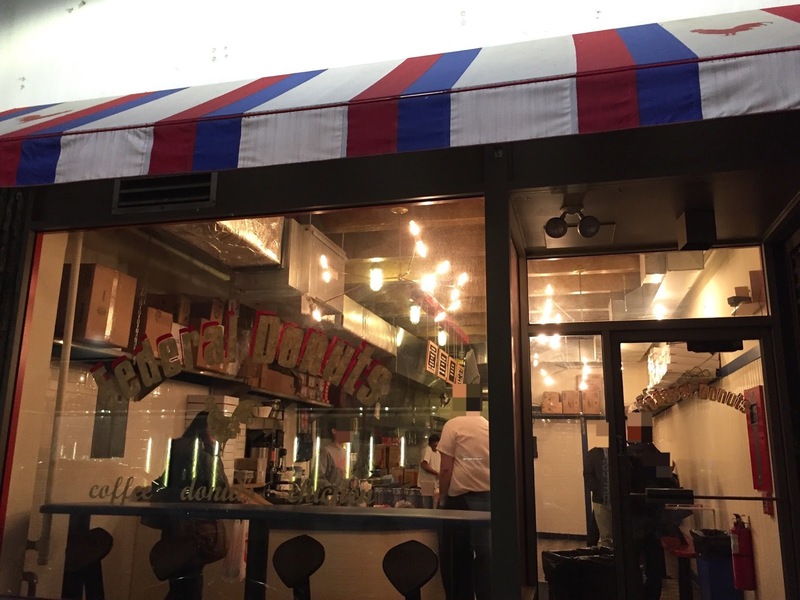 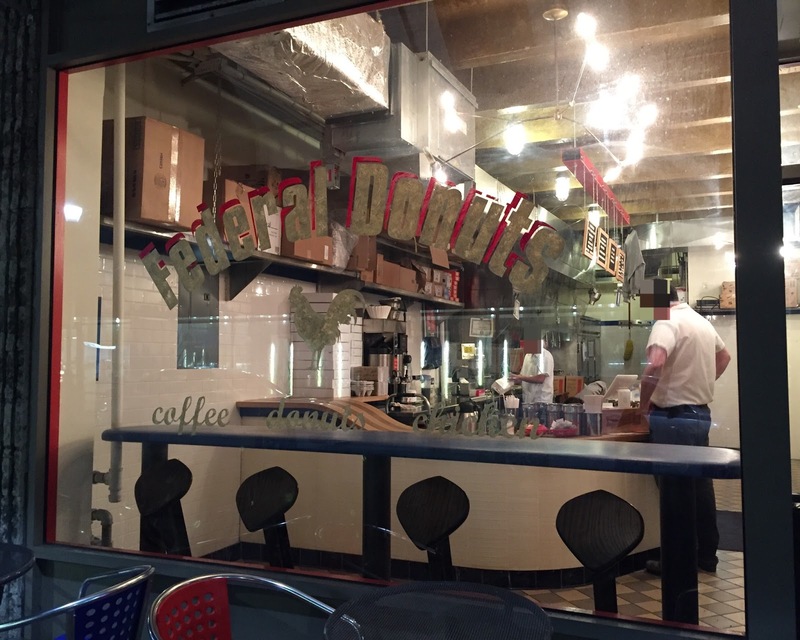 The latter is made to order and you can eat fresh and warm donuts. 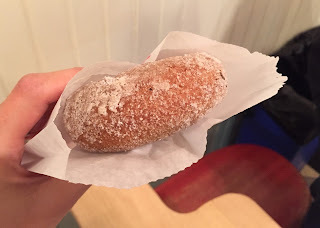 We got a Hot Fresh Donut with Vanilla Spice, and in about 5 minutes, this freshly made donut was ready. 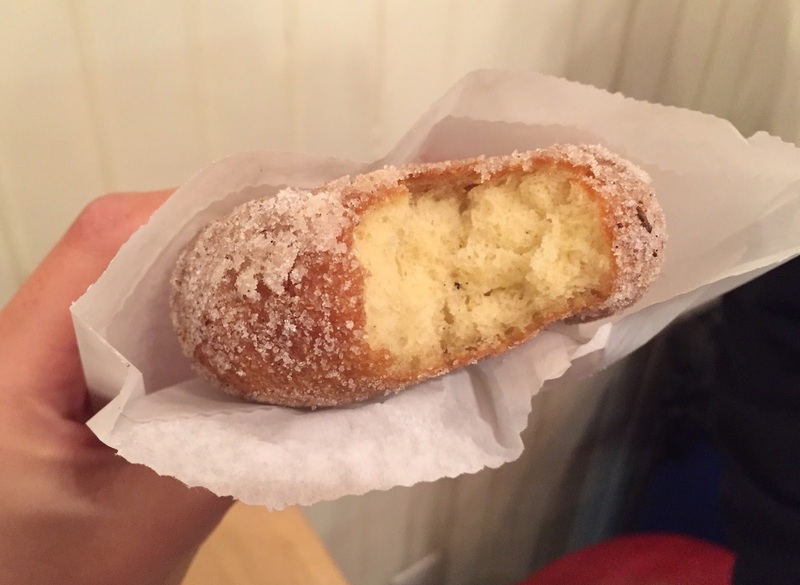 The donut was fully covered with fine white sugar. The outside had very subtle crispiness and also softness with crunchy sugars. 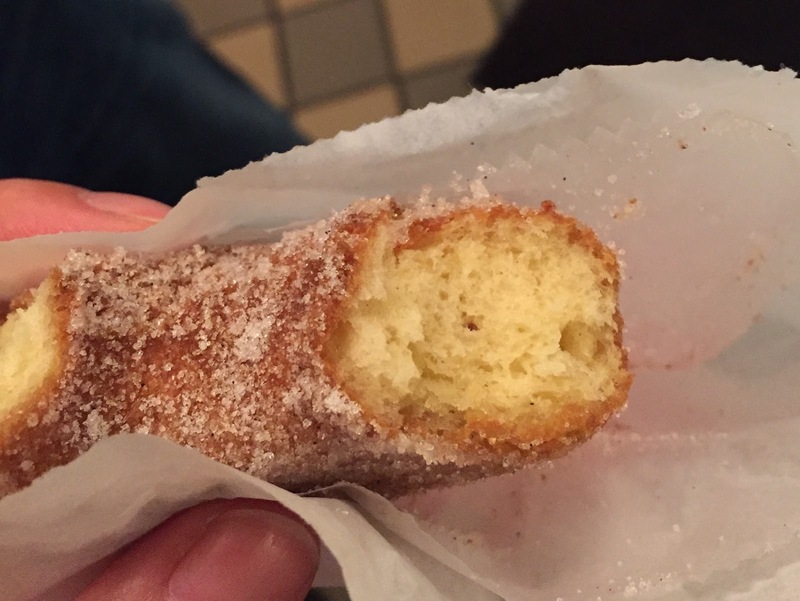 It's a cake donut and the inside was soft and moist, and the batter had buttermilk and possibly also some spices. I tasted spices like cinnamon and nutmeg, though they might have used something else. Those spices weren't so strong that I could eat this donut, but if possible, I'll order it without any spiced sugar next time. And I'd love to eat the fried chicken, too.